Speaking of New York ... when we were in the Big Apple, I was semi-determined to score an actual Cronut. They're the donut/croissant hybrid made famous (and trademarked) by Chef Dominique Ansel. 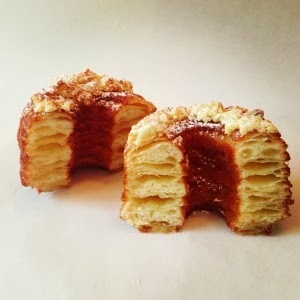 Anyway, Angelenos have a chance tomorrow to score an actual, real-life Cronut -- not one of those imitation "dossaints," or whatever they're called. It's the first time the pastry has been offered outside of New York. (We're so lucky!) Not only that, but sales will benefit Heart of Los Angeles, a nonprofit that provides underserved youth with academics, arts and athletics. And, speaking of donuts, have you heard about the new Glazed Donut Bistro in West Hollywood? They offer "donuts for grown-ups," with gorgeous donuts paired with wines, beers and coffee. The kiddos in New York! You might have noticed that it's been a little quiet the past week over here at L.A. Story. Well, CC had a winter break at school, so we decided to head to New York to visit friends and family. It was such an amazing trip! Loved seeing so many people and places. It was also the kids' first trip to the Big Apple. I'm still recuperating from traveling. We got in last night at midnight (eek! ), but I'll definitely post some more pictures of our trip! Join L.A. Story and PBS Kids for a Twitter Party Tonight! Bring your best ideas to share for the 100th Day of School! Join PBS Kids and me on Twitter (I'm at @la_story) tonight at 6 p.m.-7 p.m. PT to talk tips! 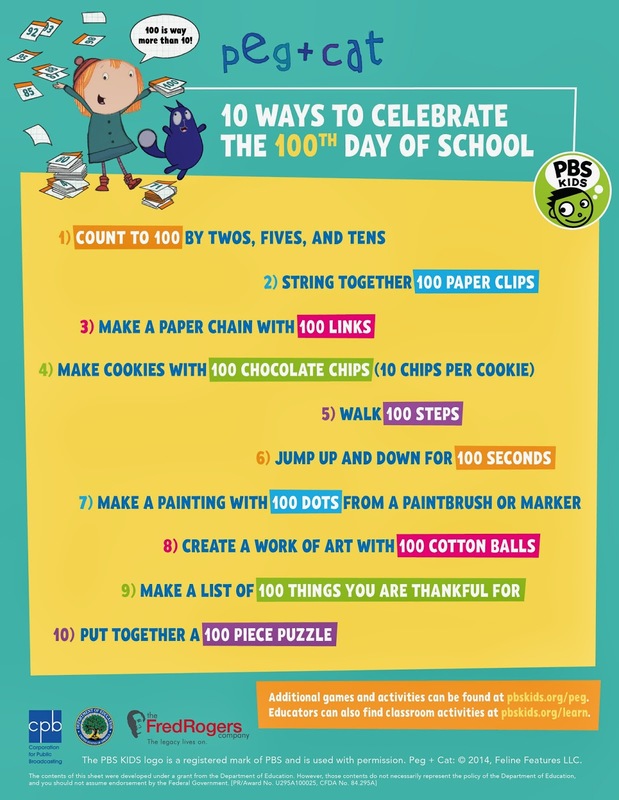 How to Celebrate the 100th Day of School? 'Peg + Cat' Has Some Ideas! I first learned about the 100th Day of School celebration last year, when CC was in kindergarten. Who knew it was such a big deal?! It's a really cute idea, and I love how much the kids get into it -- and what they're learning about the number 100 and all the things you can count. 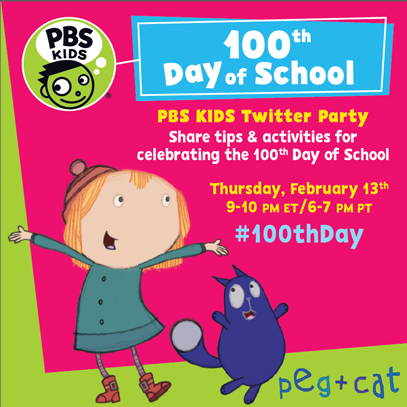 Well, PBS Kids show Peg + Cat gives us several ways we can celebrate with the kiddos! Additional games and activities can be found at pbskids.org/peg. Elizabeth Banks talks "The LEGO Movie" at Legoland. The LEGO Movie hits theaters today, and CC and I headed down to Legoland recently for a press junket with actress and mom Elizabeth Banks. Banks -- and the movie, for that matter -- are both really funny, and I loved hearing her stories about her young sons, Felix and Magnus. Check out my interview with her here, on mom.me. Banks told us about her girl-power LEGO character Wyldstyle, the time she played "bar" with her sister as a kid -- and got in a little bit of trouble -- as well as the time her older son kicked her baby son in the chest (eek!). After that awesomeness, CC and I spent a fun mother-daughter day at the park. We slid down slides, took a fairytale boat ride and checked out amazing LEGO structures, like the mini Eiffel Tower and mini Mount Rushmore. Oh, and CC rode a LEGO horse. Amazing! A couple of weekends ago, we were feeling itchy and wanted to go somewhere. So Ian and I rounded up the kiddos and headed to The Huntington Library and Botanical Gardens in San Marino, a stone's throw from Pasadena. We've been there a few times with CC, but it was Will's first time, and he loved it. They both loved the Children's Garden, with fountains, tunnels and a cool mister. Will loved running across wide open grassy fields, and CC loved watched the Koi in the Japanese Garden. I'd never been to the Chinese Gardens, and they're absolutely lovely. When you get a chance, if you haven't been -- with or without the kids -- give yourself a peaceful treat. In the Rose Garden with CC. Some of CC's and my favorite characters from Sesame Street made the trip all the way to Southern California late last month to visit the Television Critics Association press tour and talk about all the new, exciting things that are coming up for the show's 45th anniversary season. First off, there will be some big-name guests. Hello, One Direction -- along with moms Tina Fey and Claire Danes. Also, the show's major theme is going to be "executive functioning," which is really a fancy way of saying that they're going to teach kids the importance of sitting still, waiting your turn and raising your hand. All commendable goals for the early childhood set! Check out the above video, where Elmo, Count von Count and Cookie Monster talk about their trip to SoCal and what they're counting. They even give a special shout-out to my little ones, CC and Will. Oh, and there's more exciting news from PBS Kids! The network is producing a new math-based, live-action series called The Odd Squad. The show, geared toward kids ages 5-8, focuses on two young agents -- Olive and Otto -- who solve problems when something unusual happens in their town. Each episode will focus on a different math concept. "From recapturing a gallon-sized blob that has separated into smaller pieces, to dealing with a slew of unicorns, dinosaurs and wizards that have escaped from books, there is no occurrence that is too strange for the Odd Squad as they face off against various villains that wreak havoc around town," reads the release.